Receiving books free in exchange for reviews will never sway the outcome of my reviews. 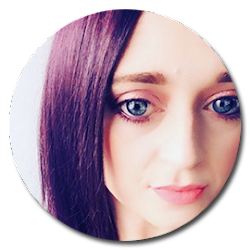 All my reviews are own my personal thoughts and opinions whether they for review or bought. While I may feel a certain way, others may feel differently. 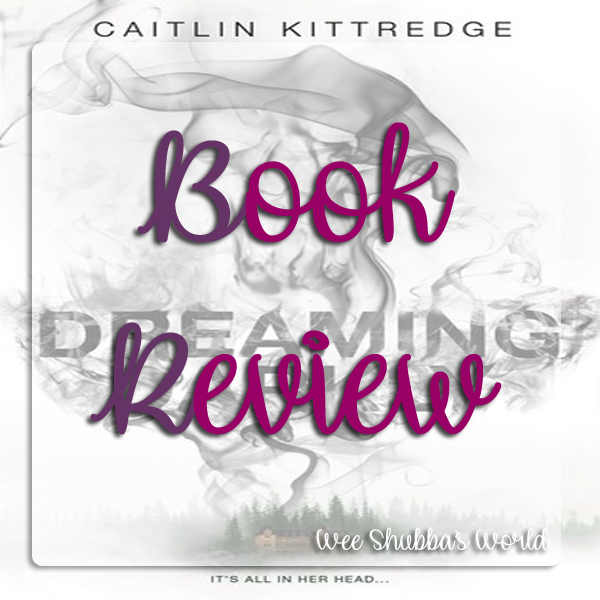 So sit back and relax and check out my thoughts on this book. 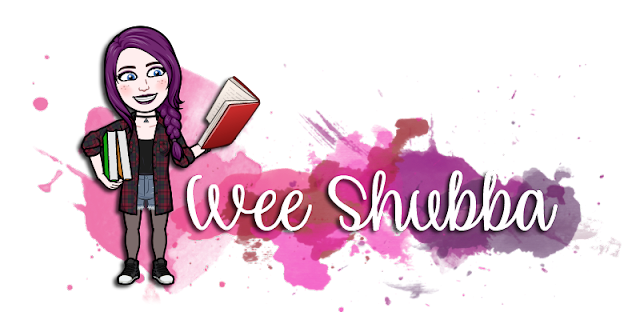 Don't forget to share your thoughts (no spoilers) on the books or reviews on this blog in comments. I grabbed this trilogy when The Works had them on offer for £6. I was intrigued by the covers because they are stunning. The thrones, the blood, the tag line? I was sucked in. I knew I needed them. I had real high hopes based solely on the first glance and maybe the old saying "don't judge a book by it's cover" came into play. The Witch's Kiss is a OK read. However, it just didn't grip me. It took me over a month to finish the book which is a long time even for me. I wanted to really love it but it was just missing the WOW factor. I usually really love a good witch read but I actually found a lot of this slightly boring. Merry is a sixteen year old witch. She has been trying to not use her magic after an "incident" that we don't find out until a good bit into the story. She is a little selfish and irritating but I have to remember she is only 16. When it's revealed that there is a curse/destiny on her, she doesn't want anything to do with at first. It was passed down through her witch ancestors. Which I have to admit I don't think I would want that either. She is untrained and her magic is very powerful and dangerous. However, the bond she has with her brother Leo helps her through it. He is always there for her and ready help. As I mentioned it was the cover and that tag line that had got my attention. "Some fairytales are darker than others...." This one line got me way too excited! I love dark story. The darker the story the more I will enjoy. This has so much potential to be a truly dark tale. And in a way it was. The story has flashbacks that explains the "curse" more. It was these flashbacks that had kept me reading. In the flashbacks we see Gwydion and how he can control Jack. This is what I wanted more of. And I don't know if it's just my old cynical age but I actually connected with evil Gwydion than any other character. This is just a short review because I feel like if I talk about too much I will end up giving spoilers and quite simply I just really struggled to write this one at all. 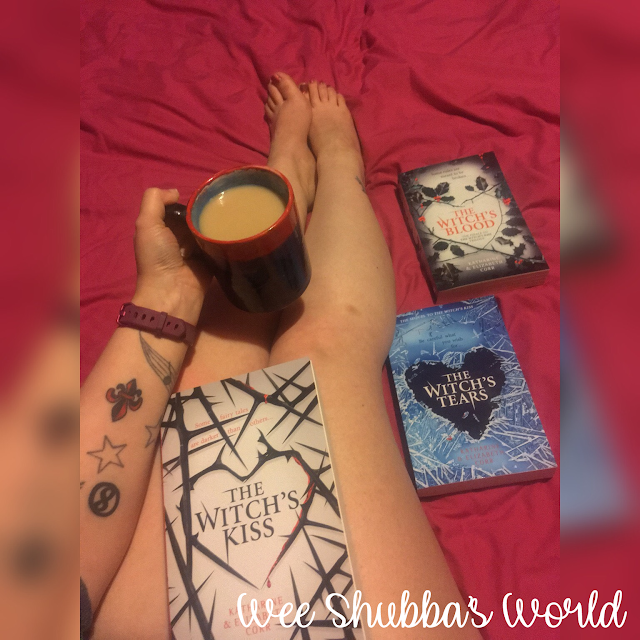 If you are looking for a witchy read then give it a try. There are so many amazing reviews on this title it was just sadly not as amazing as I hoped it would. Although, I will read the next one because I am curious to see what happens next. Hopefully it will get darker with each book. 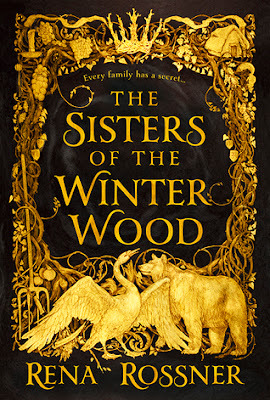 The Sisters of the Winter Wood came through my door as a complete surprise and I gushed over the pretty cover. I ooohed and aaahed over it. I am a sucker for a nice looking cover. The details are beautiful and eye catching. And it really captures the essence of the story. Did I mention it was shiny?!?!?!? Well...it's shiny!!!! However, you don't want to read about the cover right? You want to know if they book was as good as the cover. And the simple answer is, YES! 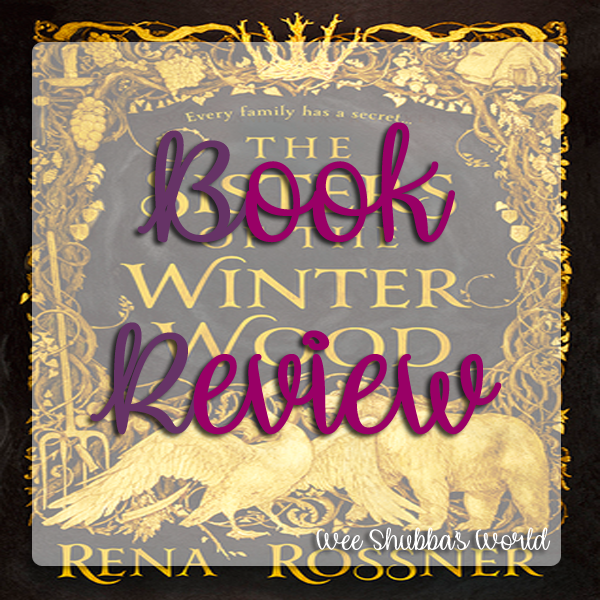 The Sisters of the Winter Wood is unique and so beautifully written. I felt like I was transported right into the story. I went into this with no background knowledge at all. I only knew it was a retelling of a poem called "The Goblin Market" written by Christina Rossetti which I have never read so I may need to look that up aswell. 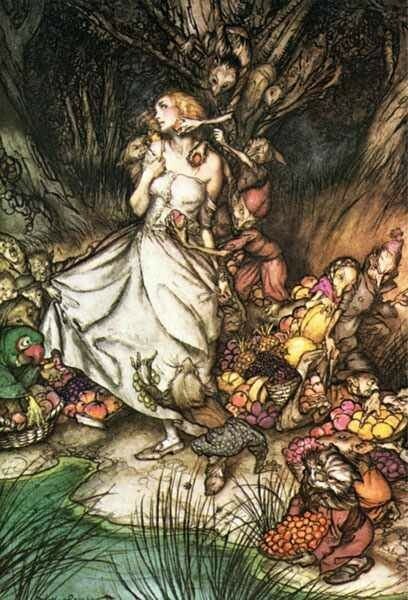 The author draws on her Jewish heritage and Incorporated that into her own verison of "The Goblin Market" story. As well as using Russian and Ukrainian folklore which was all new to me. So I was completely fascinated by it all. But only issue was not understanding a lot of the words and phrases so I had to keep stopping and going to the glossary at the back of the book to get the meaning. For me that ruined the flow a little. The story is written from both Liba and Laya point of views and just like two sisters who are so different, their voices are written very differently. Liba is someone who I think we don't get enough of in YA books. She is a curvy girl! I don't think there is enough curvy main characters so I applaud the author. I am a curvy lass myself so I was like "YASS". Laya is the complete opposite to her sister. To me there is something so "otherworldly" about her. 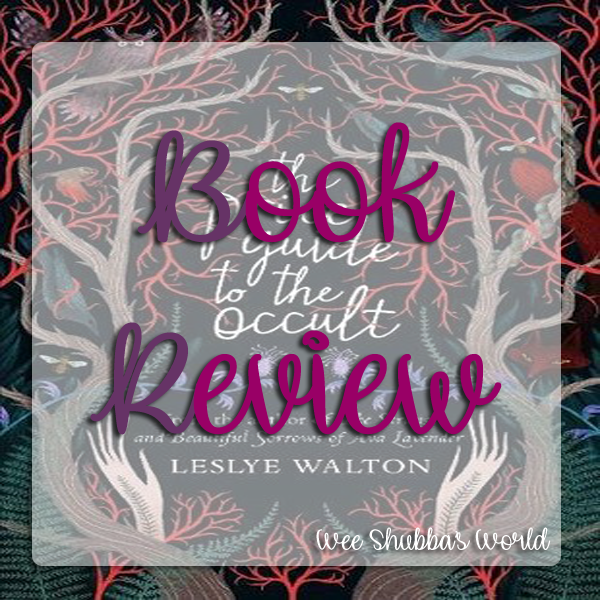 I was enthralled by her and I think that is because of the way the author has written Laya. I loved both sisters. I loved the details in Liba's chapters but I also loved the simplicity in Laya's. I could go on forever about it but I don't want to say too much. There just needs to be some surprise right? The Sisters of the Winter Wood is one the best books I have read in 2018 so far. It is magical, enchanting, exciting with a little danger with the bond of sisterhood running through it's core. I rarely request a physical copy book for review because I struggle to read print (I blame getting old lol). However, after reading the blurb and seeing the cover I knew I had to have it. The Price Guide to the Occult is on the slightly darker side of YA and is a great Halloween read. Nora is an eighth generation Blackburn daughter. Descendant of Rona Blackburn. The witch who cursed future generations of Blackburns by taking their magic and only allowing each daughter one "burden". Nora wants nothing more than to escape the family curse. She wants to go through live invisible. However, things are about to change which a book falls into her lap and the author is her estranged mother. Soon Nora is force to accept her burden as she may be only one who can save her family and friends from something dark and twisted. I really wanted to love this. I do love a good darker read. 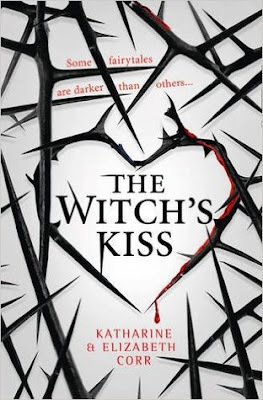 Especially one that involves witches and creepy island settings and this has both. Sadly, I just couldn't love it. That's not to say I didn't like it. I did. I enjoyed the Prologue and the last 80 pages or so. The rest for me was just too slow. I am not a fan of slow burning books. I need to a book to really grip me and keep me gripped. I actually found my mind wandering with this. At parts I was actually bored because I felt like nothing was really happening. 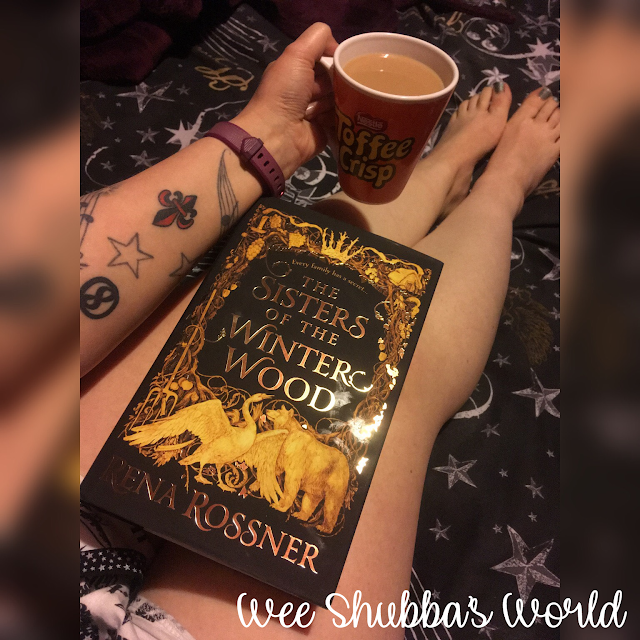 Usually I give up on books after 50 pages but I was determined to stick it out because I liked the characters and wanted to know what happened next and by the end I was left wanting more. Nora likes to blend in and not stand out. Always wearing black she doesn't like attention. But her best friend Savvy was like a fireball of colour. She was a character I wanted to know. One of those people who it's hard not to noticed with her every changing hair colour and electric energy. Nora and Savvy has two complete opposites but their friendship works because they are so different. So many of characters in this story are unique and interesting making the reader want know more about them. However, some you can easily forget and I think were only there to fill paper. 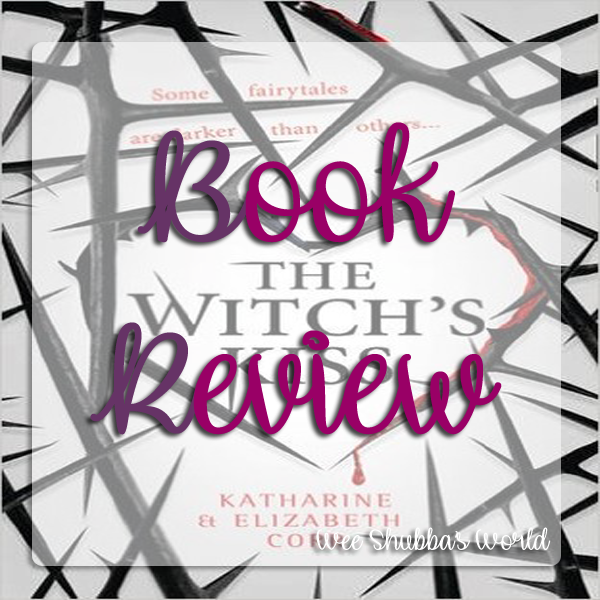 Apart from the magical element to the story, the author also touches upon a subject that is very real and needs to be talked about. Self harm and mental health. I don't want to go into details because it will spoil some parts of the story but I am giving you a trigger warning right now. The author also has a list in the back of the book of websites etc that can help people. 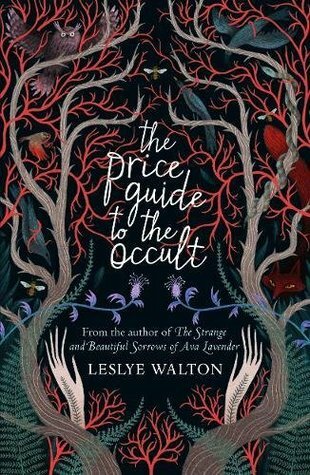 The Price Guide of the Occult may be a slow burner but if you are looking for a good read that has witches, curses and is a little darker than your usual YA fiction then give this one a try. I grabbed this from Edelweiss because the cover caught my eye. When reading the blurb I thought it sounded like my kind of read. I love a good dark and gothic story. The darker the better if I am being honest. And while this did have that dark elements and the gothic setting the story itself just fell fall for me. Ivy has spent her life moving around with her mum. She never settles in one place. However, when tragedy strikes, she is forced to go live with an uncle she never knew existed. Right away she knew something was off about Darkhaven. And to help with her own demons she goes digging into her family history and uncovers and dark and twisted secrets. Is "Meh" really a feeling? Can you describe a plot to a book as Meh? Because that is just how I felt. I went into this with high hopes because it sounded fantastic. It started out a very slow. It wasn't really gripping my interest like I hoped it would. However, I keep reading because I did quite liked Ivy and the connection she had with Doyle. Ivy is very independent and a strong character. You can see how much she is struggling throughout the story. I think Doyle kept her from going right over the edge at times. The banter they had was quite funny and natural. The plot was a slow one. I found myself sitting at around 70% mark wondering if something mind blowing was going to happen. And sadly for me it just didn't. Everything was rather predictable. The last part of the book was probably the only part that any sort of speed to it. But you know what was going to happen. I like a good plot twist and I saw this one a mile off which was rather disappointing. I will say the setting of Darkhaven was amazing. I love gothic settings. The old fashion manor on the island that you can only get to by boat. It gave me the creeps which is always a good thing in a gothic story. The back story of her family and the back story of Doyle's family was very intriguing I would have loved for that to be explored a lot more than it did. 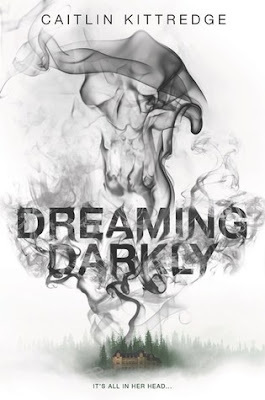 One of the big positives about Dreaming Darkly is how it doesn't shy away from mental health. 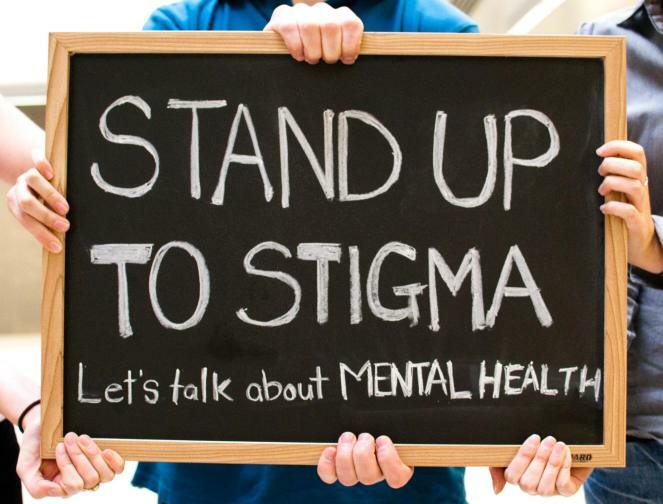 Mental health issues still in this day and age seems to be such a stigma around it. People still don't talk about it and we need to talk about them. The more books that deal with mental health in them of any kind the better in my opinion. If you like books that have that gothic setting then please give this a try. Just because this wasn't my cup of tea doesn't mean it won't be yours. I am not a movie reviewer and I don't pretend to be. I will share my thoughts on a movie like I do with the books I read. If you are looking for a full in depth article than I will only disappoint you. However, if you want to know my honest thoughts then keep reading. Feel free to leave your own thoughts (no spoilers) in the comments. 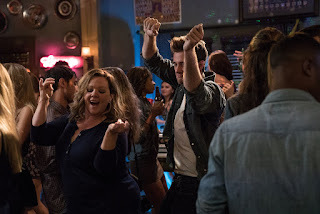 When her husband suddenly dumps her, longtime dedicated housewife Deanna (Melissa McCarthy) turns regret into re-set by going back to college…landing in the same class and school as her daughter, who’s not entirely sold on the idea. Plunging headlong into the campus experience, the increasingly outspoken Deanna - now Dee Rock- embraces freedom, fun and frat boys on her own terms, finding her true self in a senior year no one ever expected. - Amazon UK. Melissa McCarthy is possibly one of my favourite actresses. She is always hilarious. Her movies are always great for a good laugh. 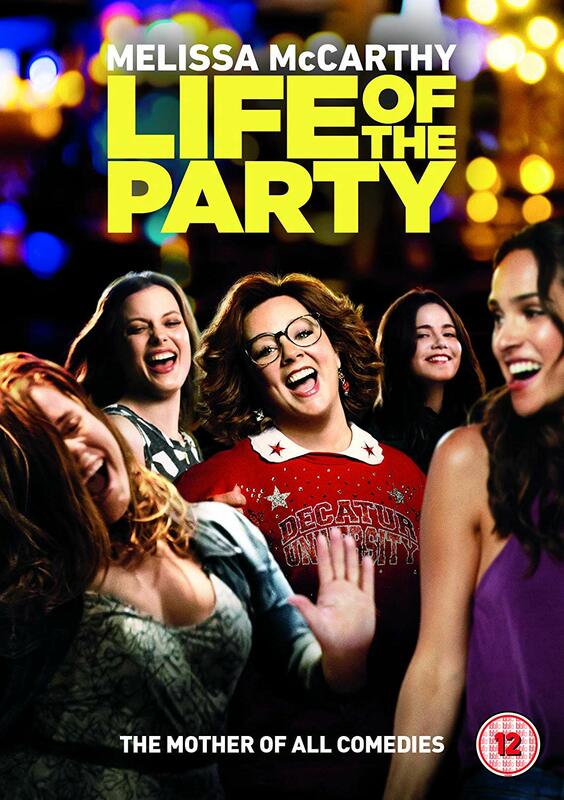 Is Life of the Party one of her best movies? No, it’s not. 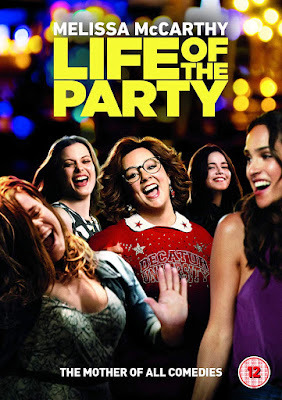 It’s a little predictable, some of it is a flat but it is still a really good funny movie that can help you forget how bloody stressful life is. it’s an escape and that’s what I needed. Shocked when her husband decides he wants a divorce, Deanna decides it’s time to go back to college and finish her last year after dropping out the first time. Deanna enrolls in the same college as her daughter and not only does she really embrace college life, she makes friends, finds a toy boy and really finds herself after 20 years of being a stay at home mother. As I said this is not Melissa’s best work. Some of the jokes fall flat and you know exactly what’s going to happen. But that didn’t stop me enjoying it. Right now I have been going through some personal stuff and just needed an escape movie and Melissa’s movies are always a go to for me. Certain parts had me actually buckled with laughter. To the point I was snorting LOL. I found some of the characters a little Meh if I am honest. You have the typical mean girls, the weird loner and the cute boy. Although, I won’t lie the younger cute boy? Yeah it was cliché but a part of me was like “You go girl!! !” Because he is bloody gorgeous. And the whole situation was just comedy gold. 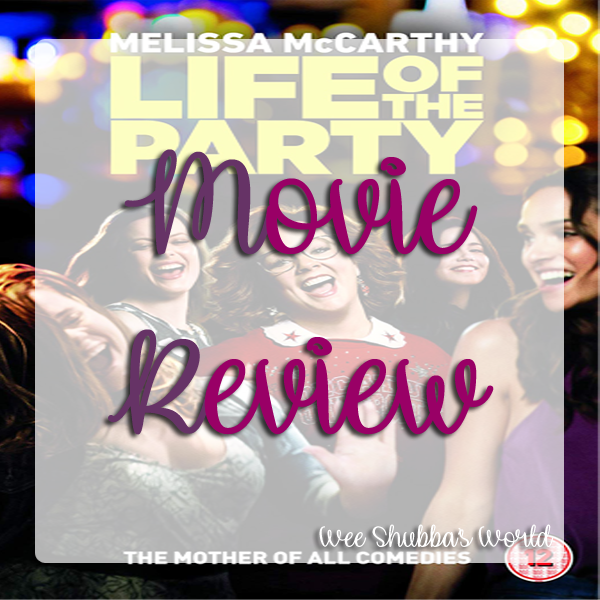 If you are a fan of Melissa McCarthy then you need to watch it. Don’t go into it expecting too much. Take it for what it is. A silly comedy you can escape into for a while. I enjoyed it. And have got a new favourite word. Vagoogle. Once you see the movie you’ll get it.